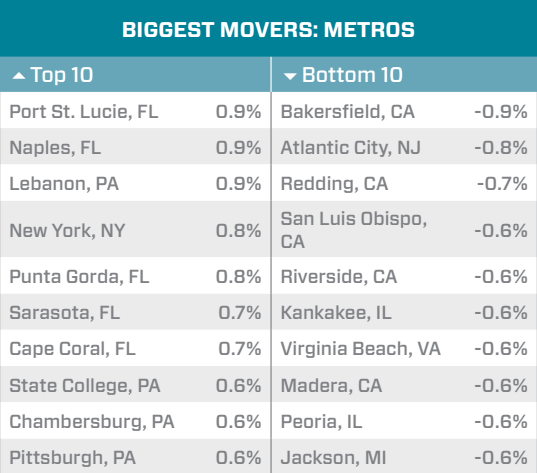 The state of Illinois saw a slight dip in home prices in the last month by 0.4 percent. 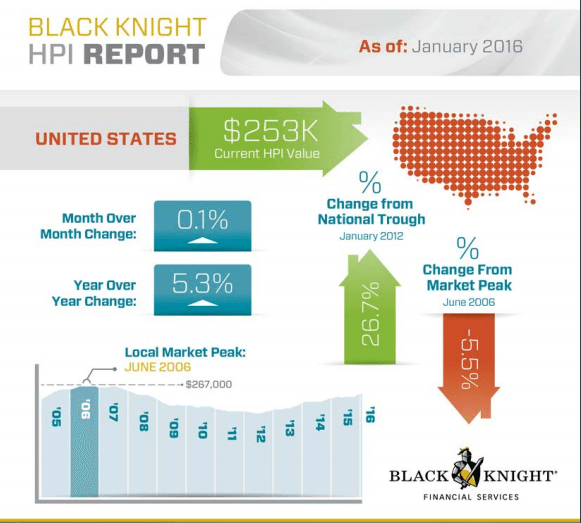 On an annual basis, home prices increased 2.8 percent, representing a current value of $213,000. 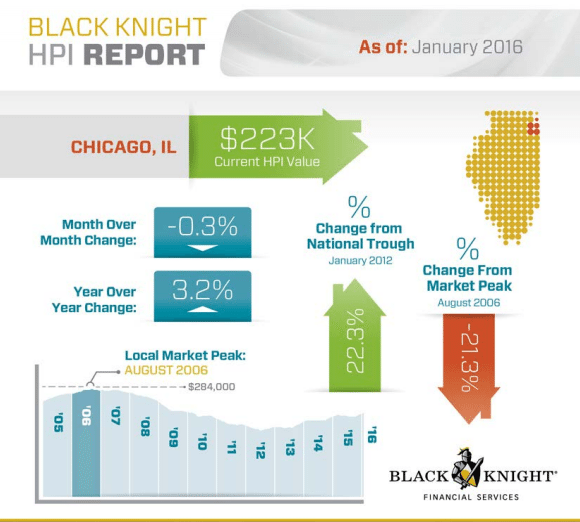 Chicago home prices reported a 21.3 percent drop from the market peak, and a 22.3 percent gain from the trough. 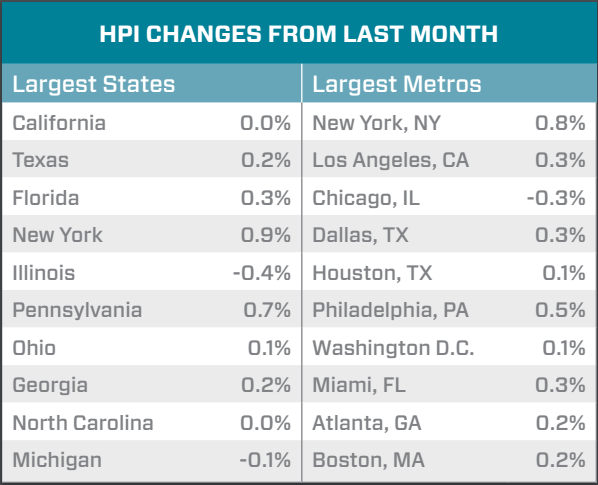 The HPI was $223 in January, which was a 0.3 percent decrease over the previous month. 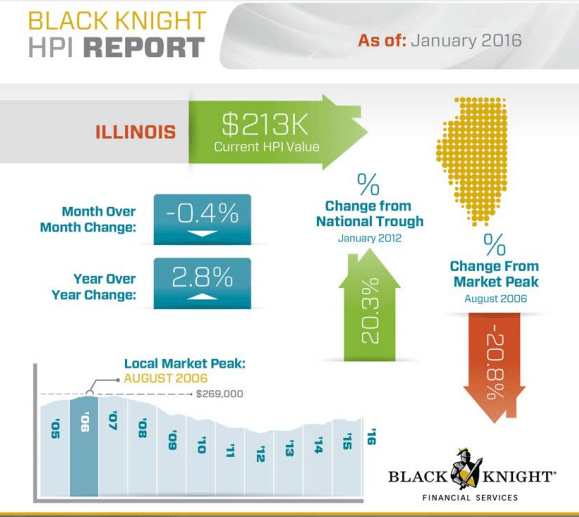 Chicago home prices are 3.2 percent higher than last year.